It is rightly said that “You don’t need magic to disappear all you need is a destination” and what better than Coorg will serve the purpose. Coorg, popularly called as the Scotland of India is a magical reality for a wanderer who can find inner peace and solace here. Located in the southern state of Karnataka it is nestled in the Western Ghats and shares its border with Kerala. Coorg is well connected with major cities like Bangalore, Mysore and Hyderabad hence serves as a perfect weekend getaway for the working professionals. A short trip of two days is quite popular among the techies who love to drive down to this beautiful hill station on an early Saturday morning. Coorg provides respite from the tough deadlines and serves as a perfect family destination. There is so much which makes Coorg such a popular and frequented vacation spot, the lush green coffee plantations, the crystal clear water falls, exotic wild life, the daunting flora and fauna, serene Buddhist monasteries and many more wonderful sightseeing options. Among the most frequented spots which tourist look out for are the Nagarhole National Park, Dubare Elephant Camp, Raja Seat and waterfalls such as Abbey, Iruppu and Mallali Falls. But nothing can match the exquisite beauty and sight of the lush green coffee plantations spread out in the entire district. The greens soothe the tired eyes and many visitors prefer to spend their time amidst them. The National Parks and wildlife sanctuaries particularly excite the wildlife photographers and families who come with their kids. Dubare Elephant Camp deserves a special mention here where one can spot the mighty animal. One can feed, bathe and ride the elephants here. One must visit the small Buddhist monasteries which are a perfect blend of serenity and beauty. Coorg also boasts of Talacauvery which is the birth place of river Cauvery. The place has a lot to offer from local food to spices and especially the home made chocolates and artefacts. There are numerous options of accommodation from resorts, hotels, camps but what makes the holiday memorable if one opts to stay in a Homestay in Coorg. “Homestays are the best way to explore Coorg as the traveller gets to understand about the culture and history and not just what is visible to eyes. Also, homestays amidst coffee plantations are the best option to really appreciate the beauty of Coorg,” says Nitin Agrawal, CEO & Founder of Funstay. The concept of Homestay is not new and today many people are familiar with their services and hospitality. The locals in a tourist destination offer their residence to the visitors is what the base line of a homestay is. They personally take care of the guests, their special needs in terms of food, comfort and lifestyle. 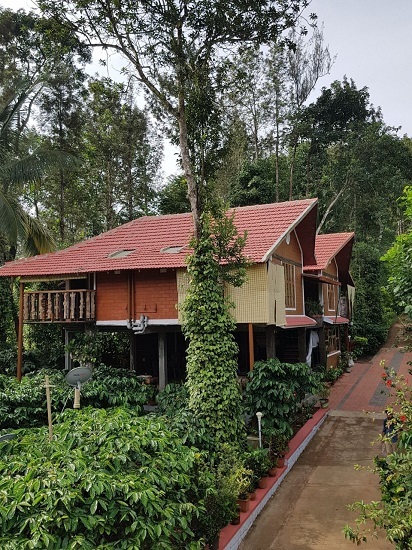 Coorg has numerous Homestays and many of them are located in the middle of a coffee plantation where the tourists can have a splendid view of the plantation from their balcony. The stay in a home stay is quite different from a regular stay in a hotel. The services can be personalised to a great extent. The owners do go a step further in meeting the expectations and needs of their guests. Plus there is an added advantage being the locals they are the best guide to the location. Funstay.in is an online travel portal providing experiential travel services tailored around unique and niche stays. With over 2000 properties across 100+ location across India, Funstay is setting new benchmarks in the hospitality segment and is one of the pioneer in experiential stay segment. Funstay.in with its plethora of exceptional stay options is also amongst the fastest growing company in experiential travel segment in India. To know more about Funstay and its services, visit www.funstay.in. You can also reach Funstay at info@funstay.in or call +91-8287-039-039.